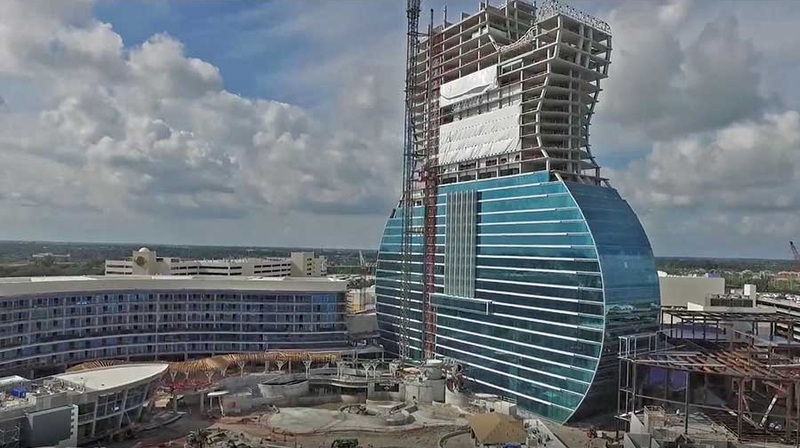 At the Seminole Hard Rock Hotel & Casino Hollywood, a 36-story guitar shaped tower is on track for completion in August as part of a $1.5 billion expansion. The guitar tower itself is 596,044 square feet. It is part of a larger 3.2 million square foot master plan that includes new theater, gaming, and recreational areas. The entire master plan is on track for completion before the 2020 Super Bowl.